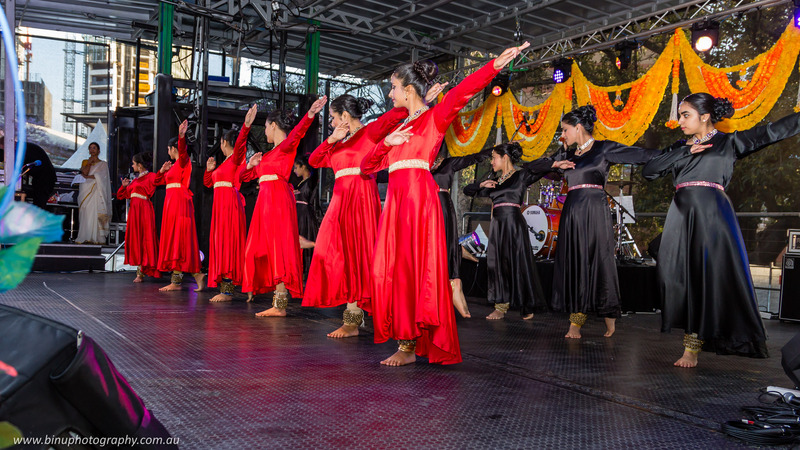 Sydhwaney 3rd Production – Fire and Earth was a specially commissioned act for Parramasala 2015. Fire and Earth paid Tribute to Fire & Rescue NSW. 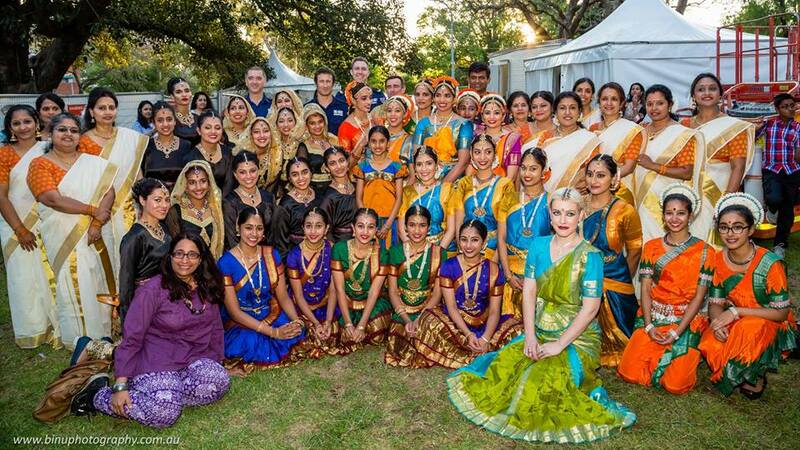 [The dancers were  Bindu, Jaya, Jayasree, Manjula, Mini, Nayana, Sharmila, Sindhu, Sudha and Sujatha]. On the creation of earth, in the Kuchipudi style of dance that originates in Andhra Pradesh in India Mayura Dance Academy under the direction of Venkat Ramana presented a segment showcasing the dance of Lord Shiva. Lord Shiva is believed to be the source of all creation on earth. He dances with abandon, the ananda tandava or the dance of joy, every bell that tingles on his feet inspires new life on earth. Presented by the students of Mayura Dance Academy were Aditi, Saakshi, Deepthi, Vandana, Smruthi and Sujana  of Mayura dance Academy in the Kuchupidi classical style. The fiery sun that warms and lights life on earth was then explored by Samskriti School of Dance under the direction of Hamsa Venkat. The dancers portrayed the brilliance of the sun, the Sun God as represented in Hindu mythology, riding a chariot drawn by 7 white horses. 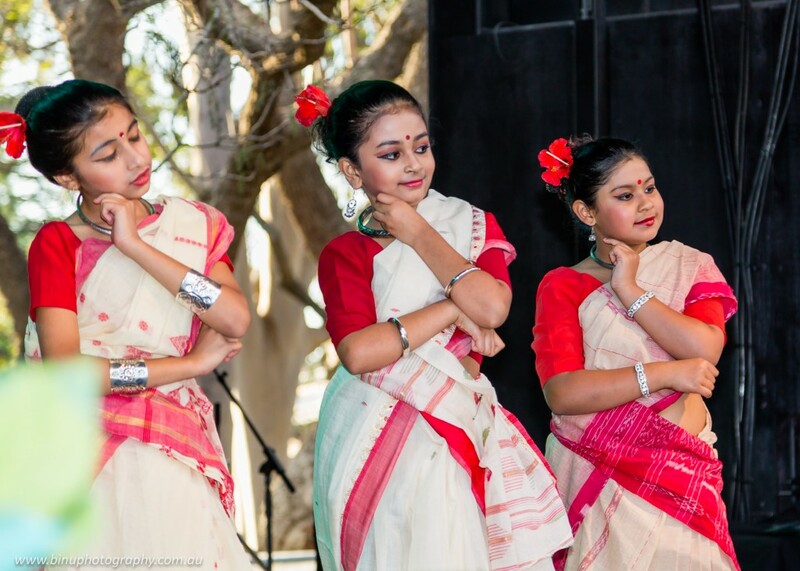 The senior Bharathanatyam students of Hamsa Venkat, provided a picturesque interpretation of the sun caressing the earth’s surface, flowers in bloom, creepers graceful twins, birds chirping and so on. Life and creation is a joy to behold. Surya kauthuvam and bhoomi thillana in the Bharathanatyam style. The Samskriti school of Dance dancers Vidya, Priya, Gayathri, Sharanya and Swetha. The destructive force of fire was explored by students of Ruchi Sanghi School of Dance in its uncontrollable rage in Kathak. Kathak is a classical dance style from the northern part of India and this piece is presented by the students of Ruchi Sanghi.This kathak piece started by the very nimble footed dancers paying obeisance to Earth and Fire with moves displaying the force of elements such as Fire in Kathak. The dancers are Ila ,Ankita ,Apeksha ,Niharika , Divyasha ,Pavitra ,Aishani ,Hirali ,Sonali ,Shatabdi ,Varsha ,Sonali ,Neharika. Thaku rani celebrates myriad folk expression and shrines depicting mother earth’s energy from the villages of Odisha in Eastern India. The dancers express their joy through an offering to the “mother” the creator of all life. Choreographed by Nirmal Jena and is presented by Anoushka, Devlina, Heeya and Urvi in the Odissi classical dance style . Prakriti or the female energy that destroys all evil on earth. Dedicated to Bhadra Kali – the omnipotent and benign Kali as worshiped by the people in Bhadrak, the dance is typical of the Jena style in that it is lyrical, sculpturesque and intricately woven with complex rhythms. The finale brought all the 50 dancers to the fore with Marlena Dali joining them in an acrobatic fire dance. The tarana is an explosion of rhythm as all the dancers combine to express their joy in creation through the elements of fire and earth that is the source of all life. “We look upon our vocation as defending from fire a piece of art that has beautified the world, the piece of art being, humankind, the human being considered the ultimate creation and work of God on earth” the words of fireman Chief Edward. F. Croker.